When Standard Folding Typewriter inventor Franklin (Frank) Sebastian Rose died on May 23, 1905, three weeks shy of his 49th birthday, his widow Catherine Marcley Rose and their son George Francis Rose (at the time aged just 26) decided to invest whatever inheritance Frank had left them to carry on the good work. Happily, Frank Rose had been issued with the final overall patent for his revolutionary typewriter 14 months before he died (see image at top). This was the patent Otto Petermann would later use as the starting point in his development of the Corona 3. Within 18 months of Frank’s death, George F.Rose was able to secure the financial backing and business expertise of leading New York lawyer Marshman Williams Hazen. 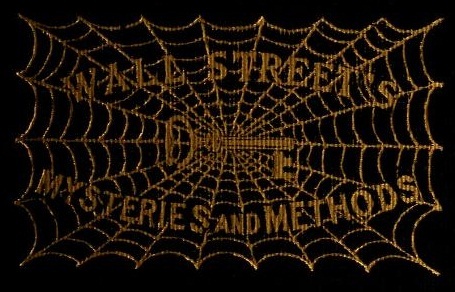 Hazen knew his stuff; after all, in 1904 he had published The Key to Wall Street’s Mysteries and Methods (written under the pseudonym of “H.M.Williams”). 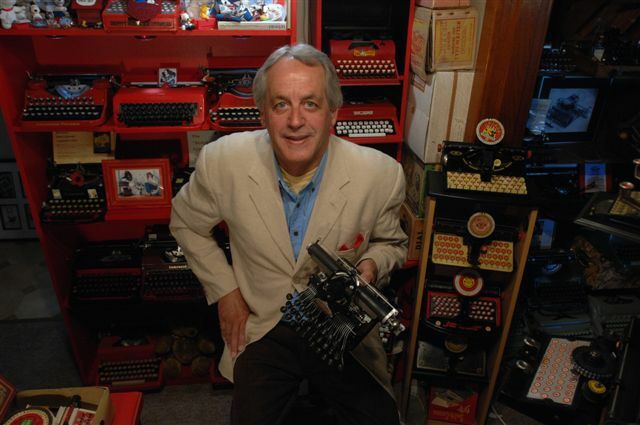 He was also heavily involved in publishing and, through the Union Writing Machine Company, in the typewriter industry. By the end of 1906, a prospectus had been issued and plans were afoot to establish the Rose Typewriter Company, to make Frank Rose’s aluminium portable. Hazen had already committed $150,000 to the project. Production started in late 1907. 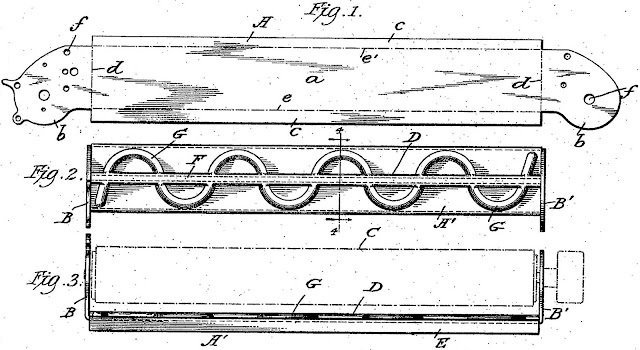 A month before he died, Frank Rose had applied for one last patent, one covering an improvement to the escapement mechanism of his folding machine. This was duly issued to George as the administrator for Frank’s estate, and provided an impetus for George to begin work on getting his late father’s typewriter produced. One of the ways George Rose used to get things moving was to involve William Grant Rhodes (born Lansing, December 12, 1866). Rhodes was brought up in Groton, where he and his family had close ties with the Conger family (which had previously been involved in Crandall typewriter manufacturing in the town) and, through the freemasonry, with Hazen. Rhodes’s links with George Rose started a long career connection with Frank Rose’s machine – through the Corona company. Rhodes became Corona’s foundation bookkeeper, its auditor, statistician and later the head of its purchasing department. 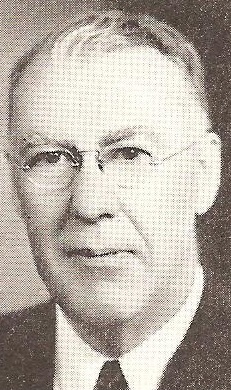 In 1926, when Corona merged with L.C.Smith, Rhodes moved to Syracuse to succeed an early Corona investor, mechanical engineer Charleton French Brown, as treasurer of the joint company, when Brown was made vice-president of manufacturing. In 1909, after Hazen had bowed out of the venture due to ill health, Catherine Marcley Rose and George Francis Rose sold for $150,000 their ownership of Frank Rose’s patents, to a consortium headed by Benn Conger (born October 29, 1856; died February 28, 1922). It also involved Vancouver-born US congressman and New York senator Jacob Sloat Fassett (1853-1924), an Elmira businessman, lawyer and member of the US House of Representatives from New York. George celebrated the sale of his father’s patents by marrying his sweetheart, Kate Farmer, on December 28, 1909. Six months before that wedding, however, George had already embarked on his own typewriter inventing career. A carriage patent George Rose applied for immediately after signing over rights to his father's designs in 1909. 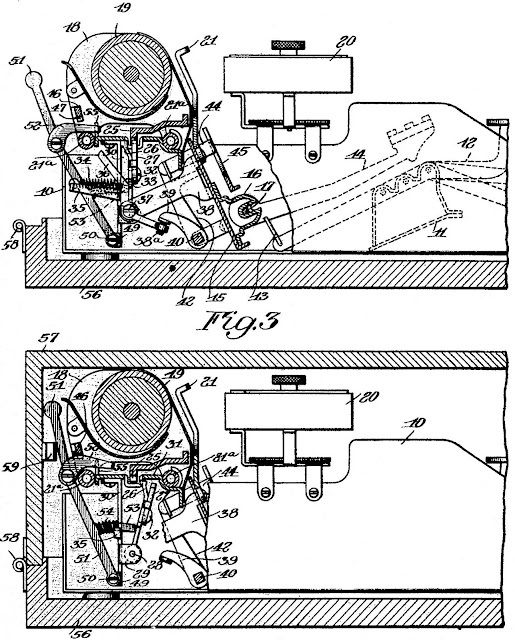 Immediately after he and his mother sold their rights to the Rose folding typewriter patents, on June 15, 1909, George F.Rose started to develop some of his father’s typewriter ideas independently of the Conger company - yet still referencing his father's patents. This was a 1921 George Rose design partly aimed at folding down the carriage to protect it during transit. I cannot say how closely George had worked with his father on the folding typewriter before Frank died, but the evidence of George becoming heavily involved in the start of the Rose Typewriter Company’s production suggests he knew something about typewriters. On the other hand, it could have been an attempt by George to cash in on his father’s name. Whatever the case, George went on to independently patent 11 typewriter designs, right up to 1937. None of his machines appear to have been made. “The father [Frank] would probably have contributed still further to the art [of typewriter making] had he lived to see his first practical typebar portable typewriter such a successful article of economic value as it exists today in Corona, but the mantle in failing upon the shoulders of the son suffered no discontinuance in activity in [the?] carrying out of plans and the Rose Typewriter Company was formed. Instant demand after [the?] start to make the Standard Folding in 1907 proved the correctness of the inventor’s vision and profited those who financed it.” All, that is, except Hazen, who had died in 1911. George Rose applied for a patent for this typewriter on this day in 1921. 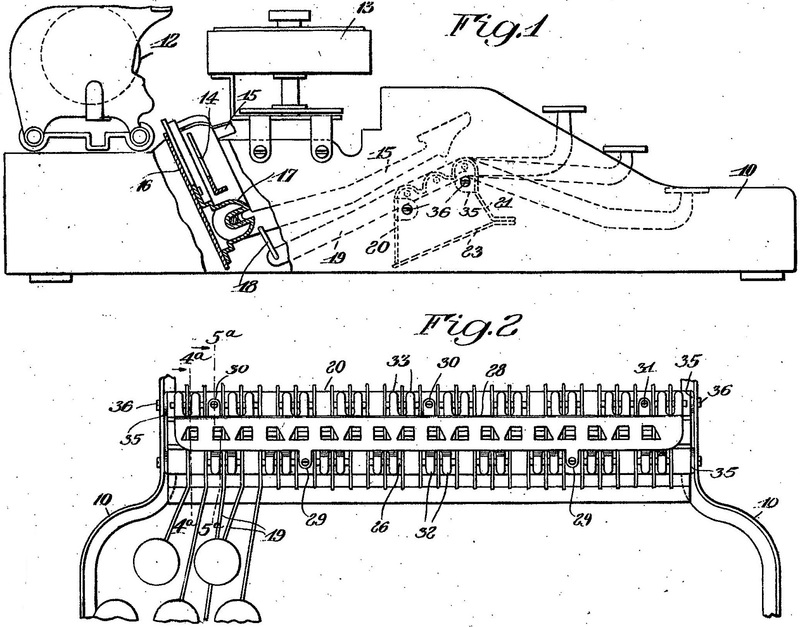 George Rose applied for one of his 11 typewriter patents on this day (December 9) in 1921. Before returning to work on typewriters in 1932, George Rose also patented inventions involving cameras. 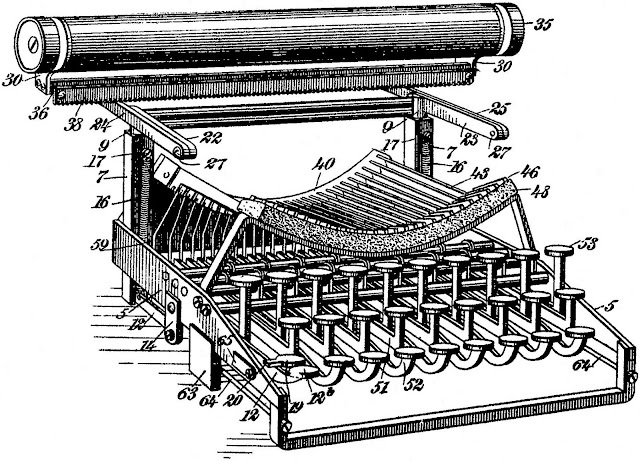 The frame for George Roses's typewriter, 1914. George Francis Rose was born in Cobleskill, New York, on August 1, 1878. His parents, Franklin Sebastian Rose (born Cobleskill, June 16, 1856) and Catherine Marcley Rose (born February 15, 1856) had married on July 25, 1877. Frank Rose was still working with his father on the 108-acre dairy farm Anson Rose had established after moving to Cobleskill from Rensselaer in 1854. Anson married Catharine Shank [Schenck], the daughter of Sebastian and Maria Shaver Schenck, in 1855. Frank Rose’s wife Catherine Marcley Rose died on July 29, 1942, aged 86. In later life their son, George Francis Rose, became a mechanical engineer working for a tool manufacturing company. George died in June 1968, aged 89. Franklin Sebastian Rose ran a hardware store in his home town of Cobleskill before moving to Brooklyn at the turn of the century. 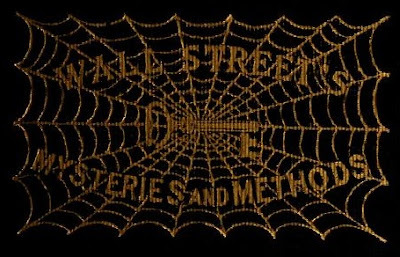 In Brooklyn, he first described himself as a "model maker". Even in the Information Age, I don't know how you find so much data, so fast. As you said recently, you are bringing these people back from oblivion, and it's quite entertaining. Thank you Richard, this is very, very uplifting and encouraging. I am just so relieved to have finally unearthed the full Rose family history, it has taken years of digging. I had it all wrong at one point, but have now managed to get it right. The breakthrough came late last night. The fact that Frank was born Franklin Rose, I think, threw us all off his track.